If you are a communications professional and have decided to take on some law firms or individual attorneys as clients, you will likely face a unique set of obstacles. Attorneys are very particular about the way they market and that’s not without valid reason. On one hand, an attorney needs to promote her- or him- self in order for potential clients to find them. On the other hand, if an attorney decides to advertise in a new or innovative way, they may risk drawing the attention of their state bar ethics board. Here are some things that PR Firms and marketing professionals need to know about their legal clients and a few tips that may help you navigate the attorney-marketer relationship. In a law firm production is king and anything non-billable such as marketing is often discouraged. Therefore, lawyers often fail to see the big picture and the potential return on investment from participating in marketing efforts. For instance, many firms have very lucrative reward compensations systems, which are triggered by bringing in new business. A lawyer cannot bill for the two hours you spend a week handling their social media accounts or the five hours it took to write a bylined article for an industry magazine. However, in a few months when they get a call from So-and-So, CEO from “Big Company” because he/she read your clients intriguing article in The Legal Paper and saw their profile on LinkedIn, and he/she wants to meet to discuss representation of Big Company in a multi-million dollar deal, everything changes. Only then will a lawyer feel are those tedious-unpaid-for marketing efforts are suddenly reaping some benefits. This is not to say that having a LinkedIn profile and writing a bylined magazine will undoubtedly lead to huge client deals, however, it can multiply the opportunity for that to happen tenfold and your client needs to understand that. Tip: Create substantive measurable goals for your clients and explain how some results may not initially reap benefits. Whenever possible, track as much of your marketing efforts and engagement as possible. Having solid numbers representing growth prior to- and post- marketing initiatives can instill trust and motivate attorneys to participate in your marketing strategies. The good news is that lawyers are finally beginning to understand the impact of social media and many have begun to interact on a variety of social networks. The bad news is that legal ethics committees across the country have recognized this and have issued conflicting and sometimes confusing, opinions regarding the ethical issues presented when lawyers interact online. This one may surprise you. How could a smart lawyer lack understanding, focus and/or accountability? Lawyers are trained to learn a lot of information in a short period of time, to make sense of it, and to analyze it. However, they are not trained to promote their business. In general, attorneys are uncomfortable with marketing. Many times marketing is poorly understood and ineffectively implemented in law firms, small and large. This is not a new revelation, but the reason is often due to a lack of understanding, training, and experience with the process in addition to the ethical issues that comes along with it. Tip: Tell your clients to treat marketing as a new specialty rather than an added job. 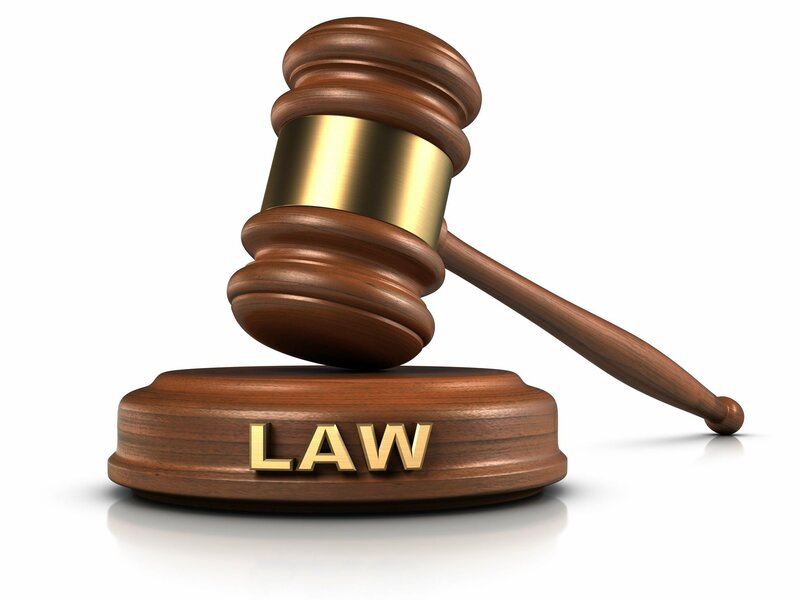 By law, an attorney must provide competent representation to a client. Competent representation requires the legal knowledge, skill, thoroughness and preparation reasonably necessary for the representation, according to the law. In other words, when a lawyer is practicing on a new case with issues the lawyer has not worked on previously they must take the time to educate themselves adequately enough to represent that client competently. Encourage your clients to treat themselves as a client and marketing a new law they need to learn. They can think of it as a contingency client. Only if they win (participating in your strategies), they make money. The more your client understands what marketing is the easier you job will be. There is a distinct culture for lawyers and their marketing efforts and getting lawyers and law firms do anything different or new is not an easy task. Lawyers do not look at marketing in a positive light. Instilling a marketing mindset among lawyers is a major effort for most legal marketing professionals. Generally, law firm culture perpetuates the stereotypical lawyer tendencies to be highly skeptical of new ideas and concepts, needing proof that change will work; to prefer their own judgment over all; and to have a high sense of urgency, expecting immediate results on even complex efforts. Tip: The legal market is changing and law firms must evolve in order to survive. Any firm that wants to last in today’s increasingly competitive marketplace must support a marketing and sales culture, to some extent. Market changes are forcing lawyers run their firms more like a business than ever before. As they should! Remind your client marketing is what enables a firm to attract and retain desirable clients, and it puts the firm in a position to fire the ones it no longer wants. If nothing else, the capability of releasing a difficult client without feeling it in the bank, will motivate an attorney to ramp up their marketing efforts. Some lawyers believe marketing is not a valid profession or discipline. You and I know that’s a falsity and we are responsible for invalidating that perception. Many attorneys are confused about the difference between marketing and advertising and do not realize that marketing activities can exist without any promotional components. As I mentioned earlier, attorneys do not look at marketing efforts in a positive light. When lawyers discuss some more traditional and explicit forms of advertising (i.e. billboards and commercials) it is often considered a joke. Therefore, at times, lawyers do not see the profession of marketing as a credible one. It is the job of the legal marketing professionals to dispel any misconceptions of the profession and show their clients how effective marketing can be for lawyers. In fact, most marketing initiatives recommended lawyers do not involve traditional advertising at all. Tip: In order to build your credibility with your clients, be careful about how you look and speak. It is very important that you are professional and that you choose your words wisely. Lawyers are trained to analyze language. In addition to that, you must make an effort to understand, at the very least, the gist of the particular law your client practices. Understanding the terminology and the basic framework will take you a long way with your lawyer clients. Explain to your client that you understand the complexities of the law firm brand and that your services are tailored for the particular industry. When you can show that you perform your services at the same standard that an attorney performs theirs, credibility and trust is created. My number one piece of advice when dealing with lawyers as clients: Do not take anything personally! Lawyers are infamous for being explicit and frank. They are not going to delicately turn down your ideas. They will tell you they hate it, why they hate it, and how silly they think you are for thinking it was right for them. Learning to take this as constructive, albeit rude, criticism, will take you much father with your law firm clientele. As an Account Executive at Maven Communications, Valerie Calderon specializes in professional services public relations, business development, crisis communications and content marketing. With a diverse and accomplished background, Valerie brings a deliberate and distinctive style to critical communication strategies for her clients. Valerie has more than half a decade of legal and real estate experience. Her business and legal background provides her with insight on working with C-suite executives and attorneys in creating successful communication plans that provide measurable success for their companies. Valerie earned her Juris Doctorate from Villanova School of Law with a concentration on corporate and international law. She also earned a Master of Science degree in accounting with a concentration on marketing and her Bachelor of Science degree in marketing with a concentration in international business from the Tobin School of Business at St. John’s University. This entry was posted in Tips & Advice and tagged Attorneys, Clients, Communications, Company Culture, Credibility, Ethics, Internal Communications, Law, Lawyers, Legal, Legal Ethics, Legal Market, Marketing, Measure, PR, Public Relations by pprablog. Bookmark the permalink.